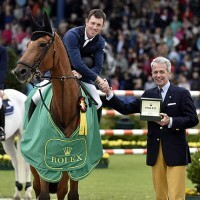 Aachen, Germany, 31 May 2015 – History was made today at the World Equestrian Festival Aachen in Germany when Scott Brash, riding Hello Sanctos, won the first equestrian Major of the year, the Rolex Grand Prix, and his second stage of the Rolex Grand Slam of Show Jumping. Scott Brash is the first rider to achieve this remarkable feat since the introduction of the sport’s ultimate challenge in 2013, and goes to the Spruce Meadows ‘Masters’ in September hoping to be the only rider in history to win all three Majors in succession. Germany’s Daniel Deusser riding Cornet d’Amour was second and France’s Simon Delestre on Ryan des Hayettes was third. 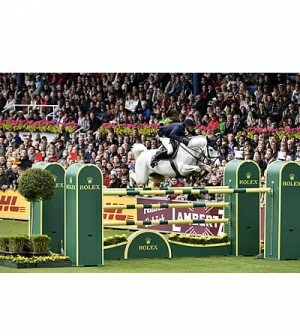 The World Equestrian Festival at Aachen, reduced in length to accommodate the European Championships later in the year, is considered by both the riders and fans as one of the finest equestrian competitions in the world. On the final day, even the cool weather which carried a chill in the air, did not affect the enthusiasm of the packed 45,000 capacity crowd who flooded in to watch the Rolex Grand Prix, the highlight of the three days. The Rolex Grand Prix is notoriously challenging, and the riders who make the annual pilgrimage expect to be asked the toughest questions by course designer Frank Rothenberger. 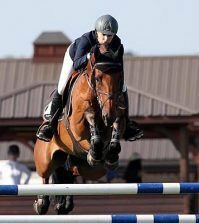 Initially it appeared as if clear rounds would be hard to come by, with many of the big names in the competition collecting penalties, but by the time all 40 riders had tackled the 13 obstacle course in the first round, Scott Brash, winner of the Rolex Grand Prix at CHI Geneva in December, led by less than half a second. Ten riders were faultless going into Round 2, including Rolex Testimonees Kevin Staut and Kent Farrington; this was then reduced down to seven who went into the final jump off – little did the 45,000 spectators realise what was about to play out in front of them. The riders always acknowledge the special role played by the spectators at Aachen, and the crowd did not fail to live up to expectation. 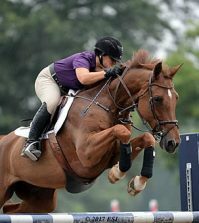 Though naturally highly supportive of the German combinations, every horse and rider who entered the arena, regardless of which country they were from, were willed over every jump as the tension increased following each round in the jump off. The first three riders all had a pole down, and then Germany’s Daniel Deusser set the benchmark with a clear round in what looked like an incredible time of 48.37 seconds. The legendary Ludger Beerbaum, an Aachen favourite, followed and he too produced a clear round, but he could not match the time set by Deusser. France’s Simon Delestre was next to go clear, but was also not quick enough – the home crowd was beginning to think that the Rolex Grand Prix title could be staying in Germany. Last into the arena was World No. 1 Scott Brash; his round started off slow, but his wonder horse Hello Sanctos made up time over the second half of the course, crossing the line in a nail biting 48.04 seconds to win the Rolex Grand Prix to a standing ovation and rapturous applause from the crowd. 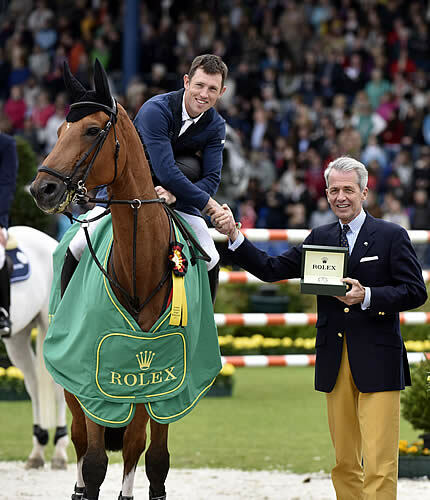 Talking about his victory, Scott Brash said, “I don’t think it has quite sunk in yet; it has been my dream to win Aachen, so to win is a dream come true. I am ecstatic. Having started his Rolex Grand Slam of Show Jumping winning ‘cycle’ in Geneva, Scott Brash now travels to the Spruce Meadows ‘Masters’, 9-13 September 2015, to compete for the sport’s ultimate challenge and the €1m bonus. “To win one leg is already hard enough; to win two is extremely difficult; to win three is going to be really hard, but it would be silly not to try so I will definitely try and win it,” he said. Rolex Testimonee Isabell Werth had another successful year in the Dressage at Aachen riding her bay gelding Don Johnson FRH. Producing a technically precise test in the Grand Prix, Werth claimed victory with a final score of 76.300%. The horse and rider combination continued to impress in the Freestyle producing an eye pleasing performance, with a final score of 81.200%, securing second place. 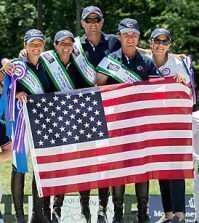 To view the Rolex Grand Prix results, please click here.